MISSION, KS--(Marketwired - Mar 10, 2016) - (Family Features) For a good portion of Americans, life insurance is a critical component of financial planning. However, in recent months, many seniors have been hit with an unwelcome surprise as several insurers are raising the premiums on their life insurance policies. When a life insurance policy becomes too expensive to maintain due to premium increases, the owner can be faced with some difficult decisions. Consider this story: A 75 year-old man owned a Universal Life insurance policy with a death benefit of approximately $500,000, which he purchased to provide income for his wife in the event of his death. Unfortunately, a battle with prostate cancer dealt him a financial blow and the low interest rates took a toll on the cash value in his policy. Then came the sucker punch: the life insurance company was raising his premiums to almost twice what he had originally planned. He was told that he would receive just $1,006 in cash surrender value from the insurance company. Instead, he contacted Coventry Direct. Through a life settlement, he received $10,000, which he used to supplement his retirement income, getting out from underneath the policy and putting some extra change in his pockets at the same time. Pay the higher premiums. This may seem like a do-nothing option, but look closer. If premiums are exceeding your budget, then you need to make adjustments to ensure that you can continue to make the scheduled payments or you could risk losing the policy altogether. This may mean cutting other personal expenses, eliminating travel plans or making other changes to your finances. Maintain current premiums, but take a cut in death benefits. If you find that keeping your policy is creating a financial burden, it may be worth reassessing how much of a benefit you truly need. Reducing the death benefit amount means less money for your heirs, but it may also help prevent the policy from lapsing and leaving your heirs without any benefit under the policy. Shop for new coverage. Like any other type of insurance, you have the right to explore different insurers for any number of reasons, including escalating policy rates. However, you'll want to make sure that you have a new policy in force before cancelling your old policy, just in case you hit any snags finding a new insurer. Surrender the policy back to the carrier. Depending on your financial situation, surrendering your policy back to your insurer may be your best choice. Although the cash payout will be a fraction of the death benefit that you had established for your heirs, surrendering the policy will eliminate an annual payment that you may not be able to afford. Explore a life settlement. As circumstances change, your insurance priorities may change, too, and selling your life insurance policy can make sense. Selling your life insurance policy to a third-party investor, which is known as a life settlement, may be a more attractive alternative to surrendering your policy back to the carrier. Coventry Direct can help you learn whether a life settlement might allow you to sell your policy for an immediate cash payment that could be four to eight times greater than what you would receive from your insurance company. 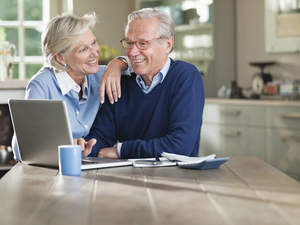 To learn more about your options and whether a life settlement is right for you and your family, visit coventrydirect.com/lifesettlements or call 888-858-9344.